Who Will Take Care of You? It’s Unlikely to be Your Kids! Who are you planning to have take care of you if you eventually need long-term care? 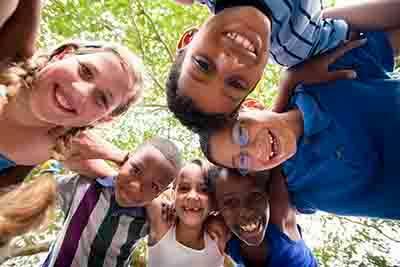 In this generation and those coming, it’s unrealistic to depend on our kids. I’m near certain those featured in the award winning, short, difficult film Extremis did not own long-term care insurance (LTCi) and did not discuss their end of life wishes with their family. You can stream Extremis on Netflix. 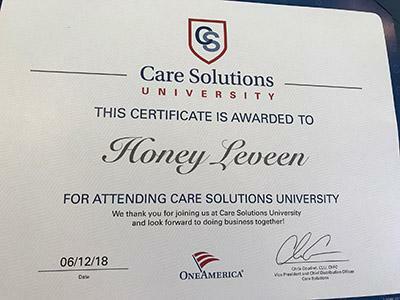 I’m Now a Graduate of Care Solutions University! Thanks to OneAmerica for flying me to its Indianapolis Home Office in June, for a one-and-a-half day training on long-term care planning, products, tips, and advance solutions. I am grateful and found the meeting to be very worthwhile. Please call me at 713-988-4671 with any questions about your LTC protection. I mean it! I’m here to support you.